1. 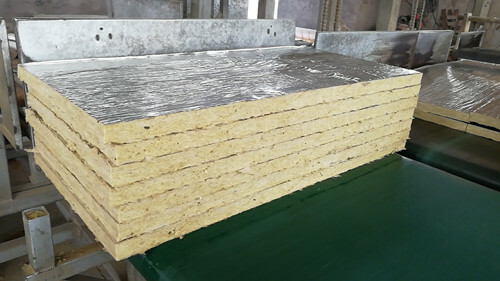 Both sides of the rock wool board should be evenly coated with special interface mortar in the factory or at the construction site. The interface mortar can be sprayed, rolled, or brushed. 2. When pasting the rock wool board, firstly apply a 5-10mm thick rock wool bonding mortar evenly on the wall surface, then paste it on the rock wool board bonding surface with a bonding mortar and paste it gently and squeezing it. Subsequent construction is carried out after 24 hours. 3. When the rock wool board construction encounters non-standard size, it can be cut on site. When cutting, it should be noted that the size of the edge is neat, and the slit should be perpendicular to the surface of the polystyrene board. When affixing, it should be laid in order from bottom to top and horizontal direction, and the upper and lower seams should be glued together. The corners should be staggered and interlocked. 4. The rock wool board must be butted and squeezed together. There should be no gaps. The narrow rock wool board should be inlaid with a width of not less than 150mm. At least one anchor should pass through to make the rock wool board close to the wall. 5. After the rock wool board is laid, the steel mesh is laid from bottom to top. When the single hole of the steel mesh is lapped, it is tied with low-carbon steel wire or fixed with anchor bolts. When the joint is not less than 4 meters per meter, when the side is overlapped Bonded with low carbon steel wire, the interval is not more than 150mm. When the anchor bolt is fixed, the interval is not more than 600mm. 6. Renovate all seams and use a staple to flatten the protruding portion of the wire mesh. After the installation of the insulation layer is completed, the interface layer can be constructed after passing the inspection.